Center Theatre Group celebrates 50 years in the iconic Mark Taper Forum with the 2017-2018 season announced today by Artistic Director Michael Ritchie. The new season features five plays that represent the past, present and future of the theatre, plus a special immersive event on the streets of Los Angeles. “Over the past 50 years the Taper has been a place to explore diverse perspectives, experience new ideas and be entertained by amazing storytellers. This theatre has sparked countless conversations, and as I look at our upcoming season and many seasons to come, I know it will spark a million more,” Ritchie concluded. Center Theatre Group’s 50th anniversary season at the Mark Taper Forum kicks off with one of the most iconic works from the Taper’s past, “Zoot Suit,” written and directed by Luis Valdez, January 31 through March 12, 2017. Presented in association with El Teatro Campesino, the opening night of “Zoot Suit” is February 12. “Zoot Suit” was originally commissioned and developed by Center Theatre Group, playing for nearly a year in Los Angeles first at the Taper from August 6 to October 1, 1978, then from October 10, 1978, through July 1, 1979, at the Aquarius in Hollywood, and went on to become Broadway’s first Chicano play, was made into a major motion picture and became a cultural phenomenon. Nearly forty years after its world premiere, the original creator will once again fill the Taper’s stage with a company of 25 actors, singers and dancers weaving fact and fiction together as they portray the events surrounding the infamous 1942 Sleepy Lagoon murder in Los Angeles. Filled with heart, sly wit and the infectious songs of Lalo Guerrero, “Zoot Suit” remains an urgent portrayal of the clash between generations in a Chicano family, the rifts between cultures in America and how racism and injustice can haunt a city and a society. Valdez’s screen credits include “Zoot Suit” (featuring Edward James Olmos), “La Bamba” (starring Lou Diamond Phillips), “The Cisco Kid” (featuring Jimmy Smits and Cheech Marin) and “Corridos: Tales of Passion and Revolution” (with Linda Ronstadt). Awards include LA Drama Critic Circle Awards, Bay Area Critics Awards, the George Peabody Award for excellence in television, the Presidential Medal of the Arts, the Governor’s Award from the California Arts Council and Mexico’s prestigious Aguila Azteca Award given to individuals whose work promotes cultural excellence and exchange between the U.S. and Mexico. He was inducted into the College of Fellows of the American Theatre at the Kennedy Center for the Performing Arts in Washington, D.C. In 2007, he was awarded a Rockefeller fellowship as one of the 50 U.S. artists so honored across the United States. Valdez was recently inducted into the Academy of Motion Pictures Arts and Sciences as a director. Pulitzer finalist Rajiv Joseph returns to Center Theatre Group with the world premiere of “Archduke.” Directed by Giovanna Sardelli, Joseph’s insightful and darkly comic play, a Center Theatre Group commission, begins April 18, 2017, and runs through May 28. Opening night is April 30. “Archduke” follows the unlikely path to terrorism as three strangers, already struggling to get by, receive a death sentence in the form of a tuberculosis diagnosis. But being young men with nothing to lose in Belgrade, 1914, makes them the perfect recruits for a secret organization looking to strike a blow in the name of Serbian nationalism. “Archduke” explores the short journey from individual hardship to public harm as personal desperation is cultivated into an act with international significance and a few average men spark World War I.
Rajiv Joseph’s “Bengal Tiger at the Baghdad Zoo” premiered at the Kirk Douglas Theatre in 2009 before moving to the Taper in 2010 and Broadway in 2011. “Bengal Tiger at the Baghdad Zoo” was named a 2010 Pulitzer Prize finalist for Drama and was also awarded a grant for Outstanding New American Play by the National Endowment for the Arts. Joseph’s play “Guards at the Taj” was a 2016 Obie winner for Best New American Play and 2016 Lucille Lortel winner for Best Play. His other plays include “The North Pool,” “Gruesome Playground Injuries,” “Animals Out of Paper” and “The Lake Effect.” His plays have been translated and produced worldwide. Rajiv Joseph has written for television and film and is the librettist for the opera “Shalimar the Clown,” adapted from the novel of the same name by Salman Rushdie, which had its premiere this past June at the Opera Theatre of Saint Louis. He has been awarded artistic grants from the Whiting Foundation, United States Artists and the Harold & Mimi Steinberg Charitable Trust. Joseph received his B.A. in creative writing from Miami University and his MFA in dramatic writing from New York University’s Tisch School of the Arts. He served for three years in the Peace Corps in Senegal. Tony Award-winning actress Phylicia Rashad returns to the Taper stage in “Head of Passes,” an astonishing, deeply moving new drama about family, acceptance and the power of faith by MacArthur “Genius” Grant recipient, playwright Tarell Alvin McCraney (“The Brother/Sister Plays”). Directed by Tina Landau, “Head of Passes” begins performances on September 13 and continues through October 22, 2017. The opening night is set for September 24. Family and friends are gathering to celebrate Shelah’s (Rashad) birthday under the leaky roof of her home at the mouth of the Mississippi River. But an unwanted birthday party and unrelenting rains are only the first challenges in this contemporary parable inspired by the Book of Job in which unexpected events turn the reunion into the ultimate test of faith and love. As her world seems to collapse around her, Shelah must fight to survive the rising flood of life’s greatest challenges in this poetic and piercing new play. The 2012 Pulitzer Prize-winning play “Water by the Spoonful” by Quiara Alegría Hudes will be presented at the Taper January 31 through March 11, 2018. Directed by Lileana Blain-Cruz, the opening of “Water by the Spoonful” is set for February 11. A janitor, a software mogul, a college grad and an IRS paper-pusher have one thing in common. Although they live thousands of miles apart, these four people share a secret: they’re recovering addicts who have found a safe haven in an online chat room. There, with liberal doses of jokes and bullying, they help each other navigate the broken terrain of their lives. But when an Iraq War veteran’s tragedy spills over into their cyberhome, everything changes. In this fearless play by Quiara Alegría Hudes (“In the Heights”), worlds virtual and real unfold onstage, challenging our notions of family, forgiveness, community and courage. Quiara Alegría Hudes is the author of a trilogy of plays including “Elliot, A Soldier’s Fugue” (2006), “Water by the Spoonful” (2011) and “The Happiest Song Plays Last” (2012). “Elliot, A Soldier’s Fugue” premiered off-off Broadway by Page 73 Productions and was a finalist for the 2007 Pulitzer Prize for Drama. “Water by the Spoonful” premiered at Hartford Stage Company and won the 2012 Pulitzer Prize for Drama. “The Happiest Song Plays Last” premiered at the Goodman Theatre in Chicago in 2013. Hudes wrote the book for the Broadway musical “In the Heights,” which received the 2008 Tony Award for Best Musical, a Tony nomination for Best Book of a Musical, and was a 2009 Pulitzer Prize finalist. Other works include the plays “26 Miles” and “Yemaya’s Belly” and the children’s musical “Barrio Grrrl!” Hudes grew up in West Philadelphia where she studied music with Don Rappaport, Dolly Kranzapolski and Linda Hudes. She was later mentored by playwright Paula Vogel at Brown University. Hudes is an alumna of New Dramatists and sits on the board of Philadelphia Young Playwrights, which produced her first play in the tenth grade. Center Theatre Group’s 50th Season at the Mark Taper Forum comes to a close with the world premiere of “Soft Power,” a new work by David Henry Hwang. Directed by Leigh Silverman, this time and genre-bending play runs April 4 through May 13, 2018 with opening set for April 15. Hilariously provocative, what begins as a contemporary play slowly becomes a play with music set 150 years in the future in this seductive new work by Tony Award winner David Henry Hwang (“Yellow Face,” “M. Butterfly”). A beloved East-meets-West musical, China’s 21st-century rise and a theatre company gala collide to make mayhem-and some beautiful music. Inspired by the West’s often ridiculously inauthentic portrayals of Asia, “Soft Power” has been commissioned as the final production of Center Theatre Group’s 50th anniversary season and is the ideal work to launch the theatre into the next half century. David Henry Hwang returns to the Taper where he premiered Pulitzer Prize finalist “Yellow Face” and his Tony-nominated revival of “Flower Drum Song.” Hwang’s other work includes the plays “M. Butterfly,” “Chinglish,” “Kung Fu,” “Golden Child,” “The Dance and the Railroad” and “FOB,” and the Broadway musicals “Aida” (co-author, Ahmanson 2001 – 2002 season) and “Disney’s Tarzan.” He is also America’s most- produced living opera librettist, and a writer/producer for the Golden Globe-winning television series “The Affair.” Born and raised in Los Angeles, Hwang is a Tony Award winner (“M. Butterfly”) and three-time nominee, a three-time Obie Award winner and a two-time finalist for the Pulitzer Prize. Recent honors include the 2011 PEN/Laura Pels Award for a Master American Dramatist, the 2012 Inge Award, the 2012 Steinberg Distinguished Playwright “Mimi” Award, a 2014 Doris Duke Artist Award and the 2015 IPSA Distinguished Artist Award. He is Chair of the American Theatre Wing and sits on the boards of Young Playwrights Inc. and the Lark Play Development Center. 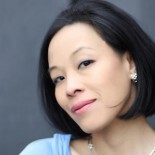 Hwang was recently the Residency One Playwright at New York’s Signature Theatre, and currently serves as head of playwriting at Columbia University School of the Arts. In 1998, East West Players named its new mainstage The David Henry Hwang Theatre. Presented outside of the Mark Taper Forum as a bonus production in addition to the regular subscription, “Remote L.A.” runs March 12 through April 2, 2017. Opening is set for March 14. Written and directed by award-winning international documentary theatre team Rimini Protokoll, “Remote L.A.” invites Audience members to join a group of 50 people venturing out into Los Angeles on a guided audio tour that seems to follow its Audience members as much the audience is following it. Audience members meet up, put on headphones and have their perspectives changed as they are provided with a soundtrack to the streets, parking garages and rooftops of Los Angeles. A computer-generated voice guides the group’s movements on a course through the city in real time. The performance reveals a “secret Los Angeles,” continuing to places normally unseen, places where humans encounter their limits, places where crowds gather, hidden alleys, back hallways and common areas seen through a new lens. At times the group is given tasks-take the Metro, travel at a new pace. They are not just Audience members-they become actors and spectators, observers and observed, individuals and hordes, all at the same time. Helgard Haug, Stefan Kaegi and Daniel Wetzel have been working as a team since 2000, and since 2002 they have written collectively under the label Rimini Protokoll. At the focus of their work is the continuous development of the tools of the theatre to allow for unusual perspectives on our reality. They have created works in dozens of cities around the world, winning the NRW Impulse Preis, the European Theatre Prize for “New Realities,” the Faust Theatre Prize and the European Prize for New Theatre Forms among others. Jörg Karrenbauer has collaborated with Rimini Protokoll since 2003. Together with Stefan Kaegi he’s focused on site-specific projects. He adapted Kaegi’s “Remote” for more than 30 cities in Europe, India and the US. Tickets for the Mark Taper Forum’s 50th season are currently available by season ticket membership only. For information and to charge season tickets by phone, call the Exclusive Season Ticket Hotline at (213) 972-4444. To purchase season memberships online, visit www.CenterTheatreGroup.org/Taper. Center Theatre Group offers a number of services to accommodate persons requiring mobility, vision, and hearing access. For more information, visit www.centertheatregroup.org/access. This entry was posted on July 19, 2016 by Lia Chang in African American Artists, Asian American Issues, Asian American Pioneers, Chinese American History, Entertainment, Theater and tagged “Head of Passes”, Backstage Pass with Lia Chang, Center Theatre Group, David Henry Hwang, Giovanna Sardelli, Jörg Karrenbauer, Leigh Silverman, Lia Chang, Lileana Blain-Cruz, Los Angeles, Luis Valdez, Mark Taper Forum, Michael Ritchie, Quiara Alegria Hudes, Remote L.A., Rimini Protokoll Stefan Kaegi, Soft Power, Tarell Alvin McCraney, Tina Landau, Water by the Spoonful, Zoot Suit.